Essential Phone 1 has been officially launched. This phone is owned by Android co-founder -Andy Rubin. This phone has an edge-to-edge display, titanium frame, supports 24 LTE bands, stereo speakers, and a magnetic connector for snapping on accessories. 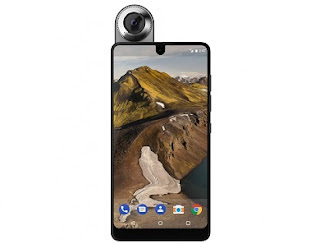 Essential Phone 1 packs alot of mouthwatering specifications and features. Kindly have a look at the full specs sheet of this beast below. Strange name. Nice specs. Strange battery.